Last week, Hillary Clinton went before a committee. She admitted she sent e-mails to her family saying this attack in Benghazi was caused by al-Qaedalike elements. She spent over a week telling the family of those victims and the American people that it was because of a video. And yet the mainstream media is going around saying it was the greatest week in Hillary Clinton’s campaign. It was the week she got exposed as a liar. Since only incontrovertible evidence justifies the accusation of “liar,” let’s see how well the evidence that Republicans presented at the hearing holds up. 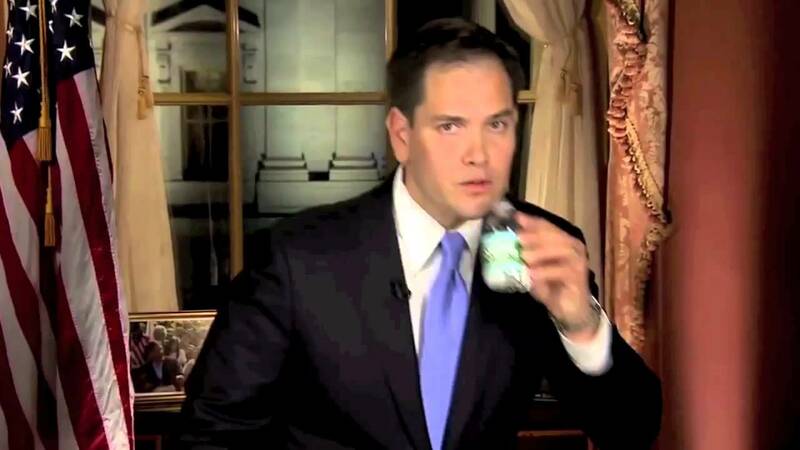 Rubio is referring to an exchange between Rep. Jim Jordan and Hillary Clinton in which Jordan asked, “So if there’s no evidence for a video-inspired protest, then where did the false narrative start?” He quickly answered his own question: “It started with you, Madam Secretary.” His proof? A statement Clinton made on the night of the attack: “Some have sought to justify the vicious behavior as a response to inflammatory material posted on the Internet.” According to Jordan’s interpretation, the foregoing sentence says: the video caused the attack. You say vicious behavior as a response to inflammatory material on the Internet. If that’s not pointing as the motive being a video, I don’t know what is…you’ve told everyone it’s a video…There is the cause, there is a motive presented there. And there is only one motive. You say this, you say, inflammatory material caused vicious behavior…There sure seems to be cause there. If you look at what I said, I referred to the video that night in a very specific way. I said, some have sought to justify the attack because of the video. I used those words deliberately, not to ascribe a motive to every attacker but as a warning to those across the region that there was no justification for further attacks. We also knew, Congressman, because my responsibility was what was happening throughout the region, I needed to be talking about the video, because I needed to put other governments and other people on notice that we were not going to let them get away with attacking us, as they did in Tunis, as they did in Khartoum. In Tunis there were thousands of protesters who were there only because of the video, breaching the walls of our embassy, burning down the American school. I was calling everybody in the Tunisian government I could get, and finally, President Marzouki sent his presidential guard to break it up. There is example after example. That’s what I was trying to do during those very desperate and difficult hours. Now in assessing the veracity of Clinton’s statement, I have to bring what I recall of that day into the picture. I watched the events unfold on the news. Muslims were rising up in one place after another in violent protest over the video. Anybody could be forgiven for thinking that the video had something to do with the Benghazi attack. That was my impression even before I heard anybody in government mention the video. Then what happened? Ansar al-Sharia took credit for the attack and changed the whole complexion of events. Now it looked like a pre-planned terrorist attack. According to Clinton, that’s why she told her family, the Libyan President, and the Egyptian Prime Minister that an al-Qaedalike group was behind it. A day later, however, Ansar al-Sharia retracted its claim. This was bound to produce confusion, changing the appearance of events all over again. Now it again looked like the video had something to do with it. Jordan’s description of events conveniently leaves out the fact that Ansar al-Sharia retracted its claim. Once you factor that in, the apparent discrepancy in Clinton’s private and public statements seems explainable. FINDING #9: In finished reports after September 11, 2012, intelligence analysts inaccurately referred to the presence of a protest at the Mission facility before the attack based on open source information and limited intelligence, but without sufficient intelligence or eyewitness statements to corroborate that assertion. The IC took too long to correct these erroneous reports, which caused confusion and influenced the public statements of policymakers. The experts in Libya were among the experts looking at this and analyzing it. We went on the basis of the intelligence community, and they were scrambling to get all the information that they could. And yes, the intelligence community assessment served as the basis for what Ambassador Rice said when she appeared on the Sunday show. And on September 18th, when the video footage arrived from the security cameras, the deputy CIA director has testified it was not until September 18th when the CIA received the Libyan government’s assessment of the video that showed the front of the facility with no sign of protesters that it became clear we needed to revisit our analysis. And then after they looked at the video footage and FBI reporting from interviews of personnel on the ground in Benghazi during the attacks, the CIA changed its assessment. The statement below is from your press person in Libya. Sends this to Greg Hicks and to the experts in the Near Eastern Affairs Bureau, the same people who said Susan Rice was off the reservation on five networks. So, again, privately the experts in the Near Eastern Affair Bureau, the experts on Libya, know that this was a well-planned attack. But the experts in the Near Eastern Affairs Bureau were only some of the officials analyzing the data. Even if we assume that Clinton got those assessments from Near Eastern Affairs, she still had to contend with the overall intelligence community assessment issued on the 13th, which, as the Senate report finds, “referred to the presence of a protest at the Mission facility.” In light of this, the fault for a great deal of the administration’s confusion, including whatever erroneous information Clinton passed on to the family members of those who died, seems to lie with the intelligence community, which once again got things wrong (no surprise there). Proving a conspiracy of the type Republicans are propounding would require that the White House instructed the CIA to include the erroneous assessment that there had been a protest. To my knowledge, evidence of this has not been uncovered. Even then, Clinton simply couldn’t be faulted for listening to the intelligence community’s assessment and passing that information on to the families of those who died serving their country. On the basis of everything I discuss above, I believe Rubio isn’t justified in calling Clinton a liar. The incontrovertible evidence is simply lacking. ← JEB: HIS OWN MAN?